The Social Network is on the rise. Every day, we spend hours interacting through the digital realms of Facebook, Twitter, Whatsapp, Instagram, and their ilk. The proliferation of smartphones escalates the rise. No longer do we need to scamper off into our bedrooms, lock the door, hang the "Do Not Disturb Sign" on the doorknob, and hunch in front of our computers. The Social Network is now at our fingertips, everywhere and everywhen. Swipe and click away while taking a poo, or stuck in a never-ending work meeting, or sipping margaritas on the beach. The window to the Social Network is always open, so long as your Internet connection holds. Is this a bad thing? There is growing sentiment that it is. 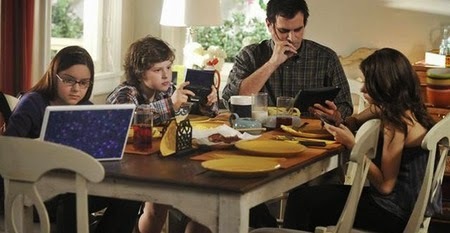 The dystopian future painted is bleak: a family - supposedly out to spend precious 'ohana' time together - gather around a table for a meal, yet parents and kids are all busy staring into their smartphones, leaving poor grandma alone, unattended and lamenting on the good 'ol days where people used to talk. I respectfully beg to differ. I think this phenomenon is a good thing for social relations. The magic of the smartphone is its spontaneity. Notification alerts, group chatrooms, and sharing of photos and hyperlinks are handy functions to have. I can drop a quick message to a friend in India asking for a favour to buy train tickets for my upcoming trip. I can exchange urgent updates with my boss and colleagues on a work project. I can plan with my friends or family on the next big grand outing, without tediously contacting each one individually. The Social Network on smartphones help to streamline our communications, and consequently, make our lives easier. If something needs my urgent attention, I would want to know and respond right away. Hence, I keep my smartphone close to me at all times, sometimes furiously tapping away in the middle of a conversation or a meeting. It's the equivalent of excusing oneself to step aside to make a phone call. 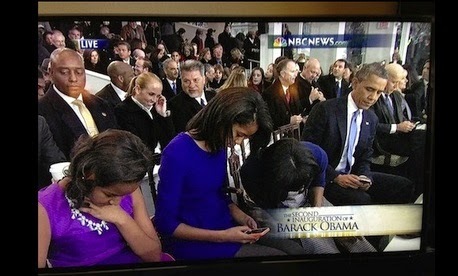 I don't get insulted when others get distracted with their smartphones; I assume they are attending to something urgent. Technology allows us to communicate with who we want to, anytime, anyplace. What's there to not like about it? A common complaint of the digital way of communications is that it reduces the face-to-face encounters we have with our fellow human beings. But this assumes that face-to-face encounter is the best mode of communication. True, the tone of voice, facial expression and gestures are useful signs to indicate the sincerity of the speaker; but such tools can easily be manipulated by a good actor to send mixed messages and false positives. A message ideally should be assimilated based on substance, rather than style. Body language may be useful in sifting truths from falsehoods - such as when a woman interrogating her husband on his whereabouts last night, or when a poker player deciding whether to call or fold when his opponent goes all-in. But such situations rarely arise in our daily affairs. Point is, physical encounter is barely a necessity, and overrated. Instead, over-emphasis on physical encounters may be counter-productive. For instance, it's hard to gather all the project members in one room, especially if they are travelling, at different time zones, and all have busy schedules. By meeting through conference calls, issues get discussed and resolved faster. Digital communications breeds efficiency - whether it's seeking the views of a close-knit group of friends on what to wear on your next date, or ordering pizza delivery. Life is simpler, with a smartphone in hand, even when you're stuck in traffic. Keep your eyes on the table, kids! From Growls To Chalks, From Papyrus to Printing Press, From Computers To Beyond! So what we have left today is a society somewhat disconnected from the physical world. Family and friends huddled in a group, yet each person talking to someone outside the group, miles away. The picture is jarring to our natural instincts. But is this change necessary a bad thing? Humanity evolves. That's the great thing about us. Once upon a time, we were half-naked brutes carrying clubs and hiding in caves, a string of guttural growls and chalk drawings as our only means of communication. And then we made up languages, and passed on stories from generations to generations through the word of mouth. Was this pinnacle of human communication? Of course not, but in those days, some thought it was, and remained deeply suspicious of the written word (even Plato once said: "Every serious man in dealing with really serious subjects carefully avoids writing"). From papyrus to the printing press, the power of communication shifted from our tongue to our hands, from speech to text. To dismiss the evolution of communication keeping pace with the advancement of knowledge and technology as a coincidence would be foolish. No way computers, what more smartphones, could have been created without humanity embracing the written word. Who knows? One day, we might embed microchips into our brains, and commune without sound and visual via telepathy. So why fear this emerging transition into the Social Network? Just because we spend less time talking than our forefathers does not make us lesser communicators, what more lesser people. Reading is faster than listening, written text is more retentive than the spoken word (text can carry headings, numbering, and most of all, can be re-read if one didn't get it the first time), and people who say they understand speech better than text is very likely just lazy and easily swayed by style rather than substance. True, it is a concern when people use smartphones to play games like Candy Crush, instead of communicating. But it's wrong to blame smartphones. Even before smartphones, people were already zoning out at the dinner table, busy playing Gameboy or reading a book (an old bad habit of mine). It's not as if smartphones tied the tongues of children - take away the smartphones, and kids would simply lapse into sullen silence anyway. You can't force people to talk. Smartphones simply provide them an alternative outlet to live the moment, somewhere else. Ultimately, there is nothing to fear about disconnecting from the physical world. The ability to see, think and feel beyond our bare flesh and immediate horizons is what makes us human after all. Obama and family leads the way. Many amongst the elderly strongly oppose to switching to a smartphone or creating a Facebook account for the longest time. But once they cave in, ah, suddenly a new light sparkles in their eyes! They now revel in the power of re-discovering old friends, the power to share joys with a few clicks, and the power to be part of this vibrant brand new world. "Put away your smartphones," people would say, "and talk to Grandma". That's silly and selfish. If you really care about Grandma, then get her a smartphone. That way, you can talk with Grandma even when miles apart, through Facetime or Skype. Grandma might be scared at first - just like Plato once was - but that's up to us to convince Grandma the virtues of digital communication. Wouldn't it be nice if everyone in the family was part of a Whatsapp group? Don't leave poor Grandma out of the loop, in the cold. Bring her into the Social Network, to join the rest of us.